Epitomising the dynamic expressions seen in nature, MYRSTAW is a mysterious hybrid shape representing the sublime force of the sea behind a serene surface. The imagery used is inspired by macro photographic images of splashing water, thus the artwork sculpturally interprets the dynamic encounter between nature and technology. 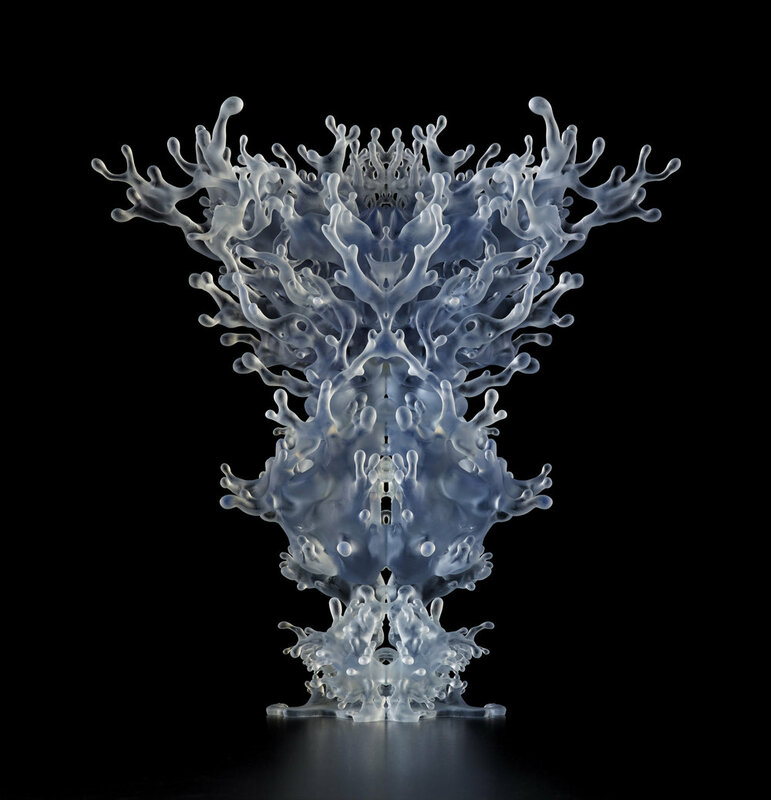 3D printing allows the unique virtual design to be realized layer-by-layer in Stratasys’ VeroClear transparent material.